There's no better feeling than climbing into bed with a fresh set of sheets and a new pair of matching pyjamas. In this sudden burst of summer weather we've been having, short pyjamas are a necessity. Or at least, that's what my excuse will be. Fairy lights turn a room from nice to cosy with the flick of a switch, and for an English graduate it doesn't much better than Scrabble-themed homeware. This is one item on my list that I'm definitely going to be purchasing. Having an Oliver Bonas so close to where I work is a dangerous game. Nine times out of ten, my drink of choice is a big cup of tea, and I love the simplicity of this particular container. Now that I've moved out and am cooking for myself again, I'm trying to be a bit more adventurous with cooking, but anything with 'effortless' in the title sells it for me! As my room is fairly small, I opted for all white furniture, so now it's in desperate need of a few splashes of bold colour. Oliver Bonas have a great selection of bold cushions and throws. Bronze and copper items may be a blogger cliche, but this bowl would be great for mixing recipes, serving salads and eating large quantities of popcorn, of course. I love having plants around the flat, but as my track record for keeping plants alive isn't the best, this fake plant seems like a great plan. Urban Outfitters is one of my go-to shops for homeware inspiration, and you only need to look at their Instagram feed to see why. This dish is ideal for storing rings and other small bits and pieces that are easy to lose. You can never have too many mugs. That's a fact. I must have been living under a rock, because I only discovered Anthropologie a few weeks ago. And I'm already obsessed. Byron is potentially my favourite burger restaurant, so just imagine being able to eat one of their burgers without even having to change out of your pyjamas (or ordering from Deliveroo, oops). 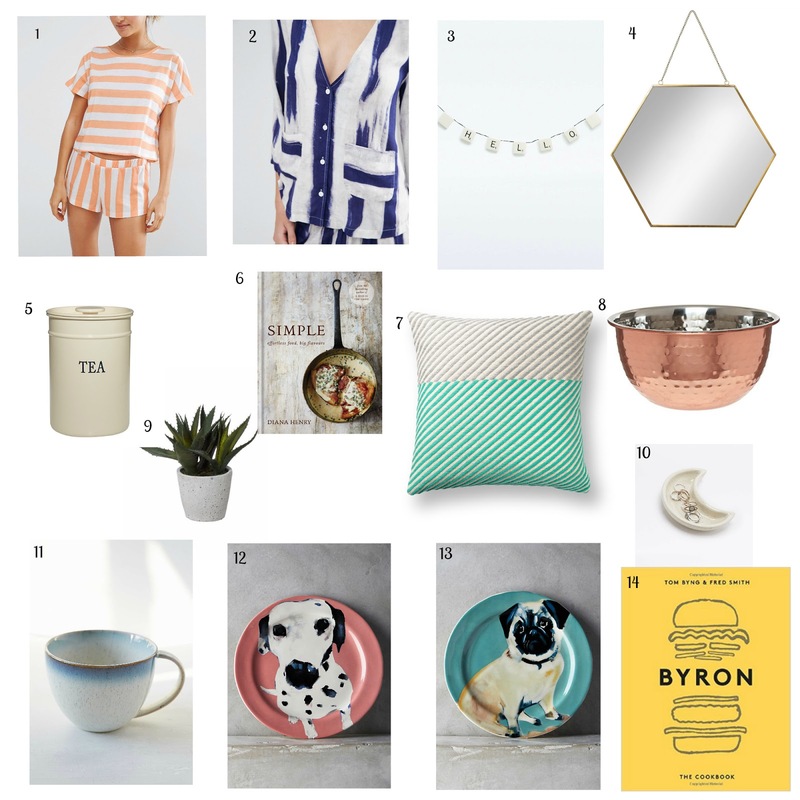 I would love to know what your favourite homeware stores are or where you go for inspiration - let me know in the comments!